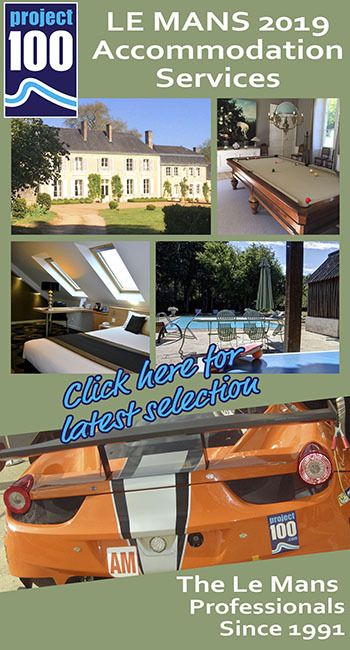 With the clock ticking down to the 2015 Le Mans 24-hour race, the major teams are shaping up to have what promises to be one of the most competitive races in recent history. Over the coming days, we will be looking in a little more detail of the progress through testing of the four major LMP1 players: Nissan, Porsche, Audi and Toyota. 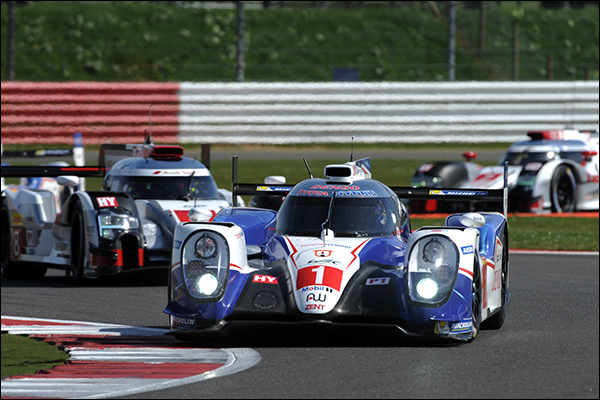 The end of the 2014 season saw Toyota crowned as World Endurance Champions and rival teams entered the winter months knowing that there was a lot of work to be done. The nights drew in, snow fell, but as the months went by, gradually the green shoots of spring began to appear. The results of development programmes would soon become apparent. ‘The Prologue’ as the season-opening test session at Paul Ricard is tantalisingly christened by the FIA WEC, marked the start of a helter-skelter of activity, which will not stop until the chequered flag falls on the Le Mans 24 hours in June. For Toyota, this was a new challenge. 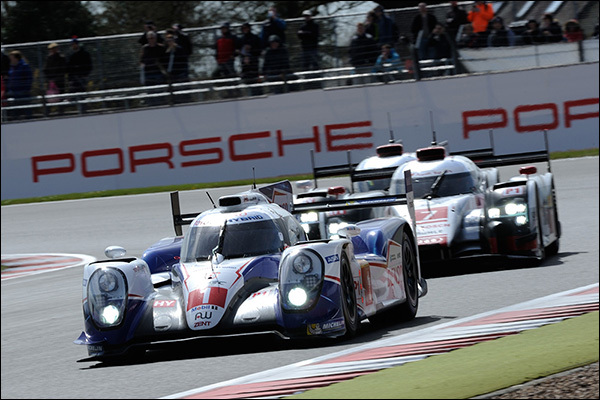 The company entered the World Endurance Championship ahead of their own schedule, at Le Mans in 2012. The following two years have been spent learning for the Japanese manufacturer, as their hybrid motors lacked some reliability, but never pace. 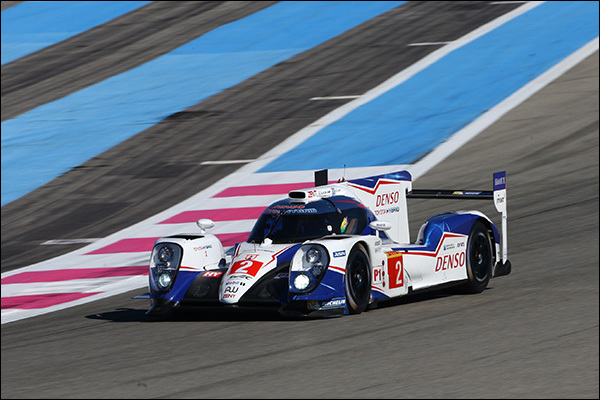 Some would (with justification) argue that in 2014 at Le Mans, the only problems to befall the two Toyotas were not of their own making. There is no question that they deserved the World title. However, this meant that 2015 needed a different approach. 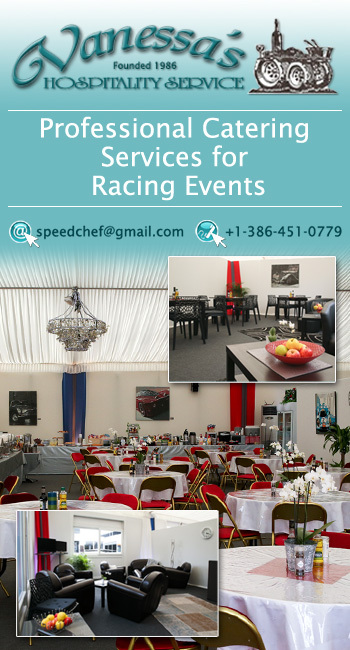 A win at Le Mans becomes critical now, as well as the World Endurance Championship, in order to improve on the previous year. Reliability is paramount. Times from the Prologue indicated that while progress over the winter had been made by all three manufacturers, Porsche and Audi had made significantly larger steps than Toyota. Or had they simply not pushed as hard? The Silverstone 6-hour race seemed to indicate that Audi and Porsche were still ahead of Toyota, but it has to be said that in the race there was not much to choose between any of them. With just 15s separating them at the chequered flag there clearly isn’t that much wrong with Toyota’s race pace. Since Silverstone, the team has been back to Le Castellet, with one car, for a three-day test. However, this had to be cut short on the second day after damage sustained to the monocoque following too many encounters with Ricard’s ‘sausage’ kerbs proved too severe to be repaired on site. The team claims that everything on the programme had been completed by this point: that 27,000kms of testing had been done, but nevertheless it must be disappointing to the team to have lost valuable testing time. At this level, you learn from every lap, no matter what. The damaged tub was due to be retired in any case and the build process for the Le Mans cars has not been affected. This is an area, of course in which Toyota’s decision to run only two cars in the 24 hours at Le Mans has helped its cause. 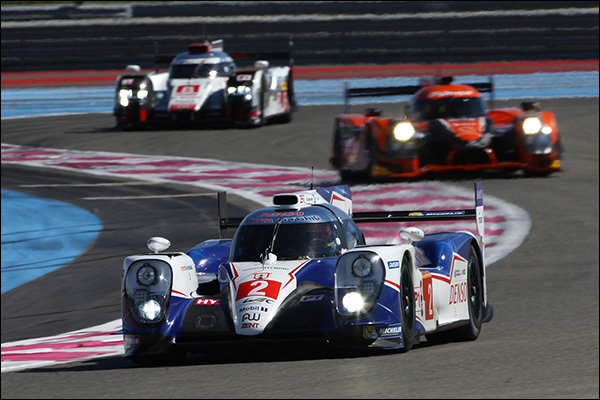 Running two instead of three cars means that the lead time for manufacturing is 33% less than that of its rivals, and two cars in Le Mans specification should be ready to go in mid-May, when Toyota will be back at Spa for a further 3-day test ahead of the Le Mans Test Day on May 31st. 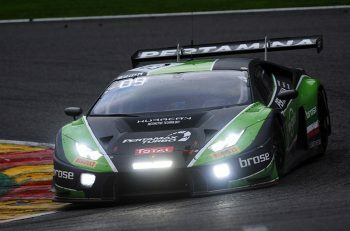 The test day at Le Mans will be crucial. But it will not just be a matter of outright lap times: it will also be vital to look at the time for a full stint. Not only that, it will be vital to establish how many laps a stint will be. According to my calculations, while Audi will be stuck on thirteen laps and Porsche will comfortably be able to complete fourteen, Toyota is right on the edge. And whether they can make the fuel last fourteen laps or not, there remains the question of tyre consumption. At Silverstone, Toyota twice made their Michelins run double stints – neither Porsche nor Audi did that. But then tyre wear at Silverstone and Spa is not the same as at Le Mans. Toyota, along with Porsche and Audi, will have a revised aero package for Le Mans, and although they will use it for their test at Spa in mid-May, they won’t be running it at the Spa 6 Hours – an indication of the importance of the World Endurance Championship. Thus the lessons that are learnt from Spa will be limited to those from the test. This is where having only two cars will make the job that much harder. 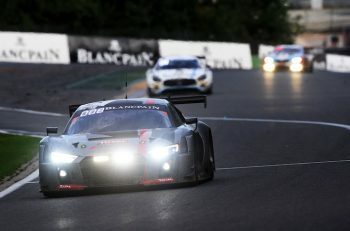 The kerbs at Le Mans are rather different from those at Ricard – and at Spa they are different again – and the drivers will no doubt have been told to stay off them, but if tub-damaging contact can have race-ending consequences, then only having two ‘bullets in the gun’ could spell the difference between defeat and victory. 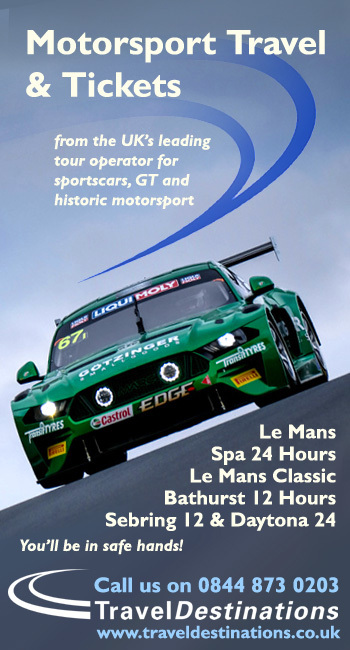 This year’s 24-hour race could be so close, that agility in the traffic will surely be a significant factor. However, if avoiding the traffic causes off-track excursions, the Test Day could provide a vital opportunity to see how best to deal with it. This will only be the case, though, if the drivers are prepared to push throughout the test. There can be no benefit from sand-bagging. That’s great, because it means that what we see on the Test Day will almost certainly be what we get during the race itself. For Anthony Davidson, Sébastien Buemi, Kazuki Nakajima, Mike Conway, Stéphane Sarrazin and Alex Wurz, along with the entire team of engineers, there is lots to be done in the coming weeks. There will be no respite from the hard work.